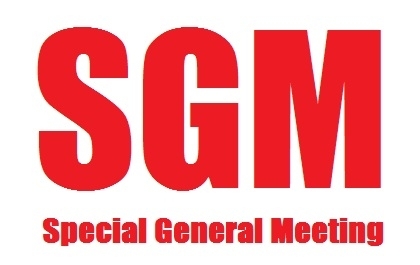 Announcing a Special General Meeting for all financial members starting at 1pm on Sunday 20th of August 2017, to be held downstairs at the Sportsman’s Hotel. This is an important meeting to hear the appeal against the cancellation of a members membership of the association, where the details of why the committee has taken this action will be presented and for the member to explain to the members why he believes his membership should not be cancelled. The members present will then vote to determine the outcome of this decision.